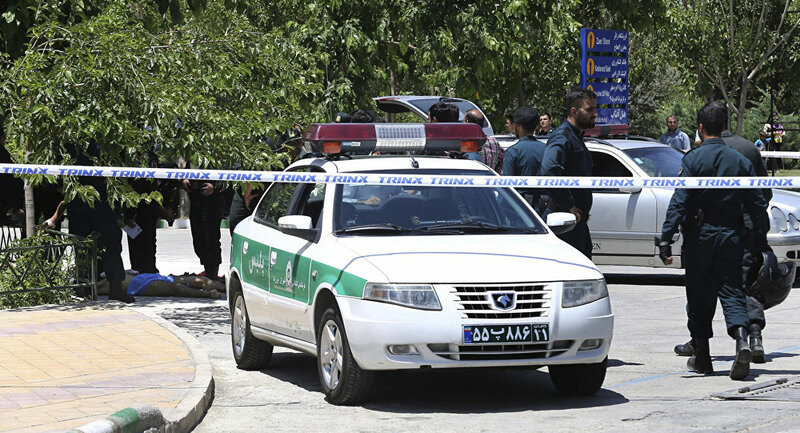 The number of casualties from the twin attacks in the Iranian capital on Wednesday has grown from 13 to 16 people dead, local media reported Thursday. MOSCOW (Sputnik) — A double terrorist attack that occurred in the Iranian capital of Tehran early on Wednesday left at least 12 people dead and over 40 injured, as local authorities have confirmed. — Tasnim News Agency (@Tasnimnews_EN) 8 июня 2017 г. The group of four people in women's clothes, equipped with AK-47 assault rifles, handguns and suicide vests, opened fire in the building of the Iranian Parliament, with a subsequent explosion. Another attack involving an explosion took place near the Imam Khomeini shrine. According to Iran's Intelligence Ministry, the third attack was foiled. Daesh claimed responsibility for the attack. According to media reports, the group of attackers managed to find their way into the parliament building by shelling security, killing at least two guards. None of the Iranian lawmakers or staff members were injured by the attack on the parliament. The shooting reportedly continued inside the building and then the suicide blast occurred. The counterterror operation in the Iranian parliament in Tehran resulted in the elimination of all four attackers. According to Ministry of Intelligence, one of the suicide bombers at the shrine was shot dead by security guards while the other blew himself up. World leaders, including Russian President Vladimir Putin, expressed condolences to Iranian President Hassan Rouhani in connection with the terrorist attacks. Putin, in particular, expressed Russia's commitment to continue joint anti-terrorist efforts with the Islamic Republic.